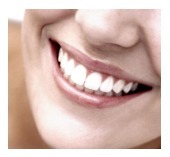 Your dentist will do a complete examination of your teeth to determine if veneers are ideal for you. This treatment often provides the opportunity to dramatically transform the aesthetics of your teeth and smile. Veneers can enhance the shape of your teeth, make your teeth as white as you want, and give you the smile you have always desired. Additionally, They are bonded to your tooth structure, which gives them strength. Since they are very thin, Veneers are considered one of the most conservative cosmetic treatments available. Most of the time, very little or no tooth structure is removed before placing veneers. Ask your dentist how this treatment can improve your smile. If you have any questions about cosmetic dentistry and you live in Katy or surrounding area, give us a call today!